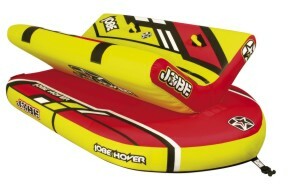 This season we bring you this new cool retro-styled Classic Package, to celebrate that our brand Jobe exists since 1974! The package includes nice UV-coated 67" combo skis, an universal-sized vest and and an oldschool 12" wooden handle, this all packed in a stylish carton box. Hemi Size: 59", 62", 65"